What is oxalate and how can it impact your health? 1. Oxalic acid: What is it? Oxalate likes to form crystals. Most kidney stones contain calcium oxalate. 2. Where does oxalic acid come from? beans, grains, bran, sesame and other seeds, peanuts, almonds, and other nuts, swiss chard, spinach, beets, potatoes, chocolate, rhubarb, figs, kiwi, blackberries, black pepper, cumin, turmeric. 3. How can oxalate harm you? The body has no way to disarm oxalate and must excrete it. When cells are required to handle oxalate they are moving it or “managing” it, not metabolizing it. This is dangerous work for a cell. Soluble forms of oxalate (sodium oxalate and potassium oxalate) can be picked up by other minerals like magnesium, calcium, iron, zinc, copper, etc. This locks up the mineral. Oxalate may also bind with toxic metals such as lead, mercury, aluminum, or cadmium. It is corrosive to the lining of the digestive system, may cause leaky gut or other GI diseases. 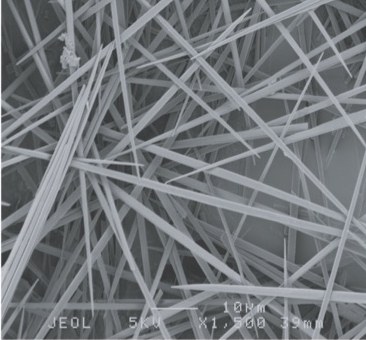 Some OX crystals have a needle shape known to perforate mucus membrane cells. Depletion of the antioxidant glutathione in cells. Low levels of glutathione can generate superoxide radicals, increasing toxic stress causing early cell death. Glutathione is especially important in the liver for the detoxification of chemicals. It is also important in preserving brain health. Cell communication problems (autoimmunity, hormonal issues, neurological issues). For example: Ox can confuse and stress the immune system, creating auto-immune symptoms. Uses up vitamin B6, possibly initiating a vicious cycle. B6 deficiency increases internal production of oxalate, increases oxalate load, further depleting B6, and so on. These problems don’t always cause obvious symptoms. Onset may include a generalized malaise, poor concentration, some sort of “-itis” (gastroenteritis, tendonitis), joint stiffness, swelling, muscle pain or weakness. Oxalate damage is not a sensitivity or allergy. It is a toxicity problem. Reversal of oxalate toxicity is an avoidance and excretion issue. It is not a matter of boosting liver function as is typically addressed in “detox” regimens. 4. How and why are the crystals formed? Science is studying these questions, because we don’t know enough yet. It is hard to study oxalate handling, distribution, and oxalate crystal deposition in the body. Blood delivers oxalates to tissues; higher concentrations of oxalates and a number of other factors may encourage crystallization and deposits in the body. Injured tissue is prone to oxalate deposits. 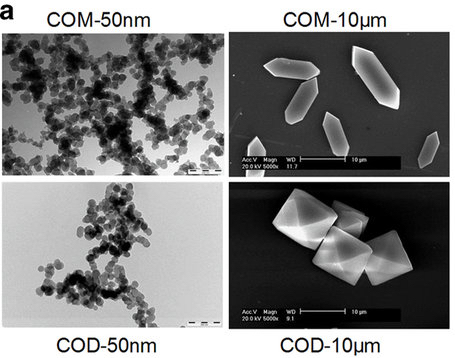 Cell fragments may become hosts to OX crystal formation and growth. Too little citrate allows for crystallization of oxalate. 5. Why does it affect some people and not others? We don’t know how many people are affected by dietary oxalate. Excessive exposure to oxalate is generally unrecognized and is hard to identify and quantify. Even patients with known high-oxalate problems are often described as “asymptomatic” in the medical literature. This means it can be hard to know if oxalates are causing damage to your health. Eventually a problem will develop, such as a kidney stone, but you typically don’t know that it is happening until it gets really bad. When symptoms are present, they don’t neatly correlate with recent intake of oxalate, but instead may flair up as the body releases oxalate, when less oxalate has been consumed. Measures of blood oxalate and urine oxalate do not necessarily correlate with symptoms, for many reasons. The problems associated with oxalate toxicity are presumed to have other causes and factors generating these symptoms. Oxalate rarely gets the blame, even in part, for the problems they are capable of causing. Modern lifestyles may be increasing the number of people affected by dietary oxalate, by increasing exposure and lowering our tolerance. At is easier than ever to eat high oxalate diet. High-oxalate foods are now more accessible year-round and very popular. Ironically, the health-conscious may have a greater affinity for some high-oxalate foods such spinach and almonds which are promoted as healthy. The oxalates we munch on may be more readily absorbed and less efficiently excreted due to our reliance on medications, including over-the-counter pain and cold medications and popular prescription drugs. These drugs can harm the gut flora and function, and reduce the kidneys’ ability to remove them from the body. Adequate oxalate excretion can also be impaired by other toxic exposures, such as indoor air pollution, which can erode kidney function. Gastro-intestinal resection surgeries dramatically increase susceptibility to food oxalates. The potential for harm from a high oxalate diet can be magnified by other factors besides the health and function of the gastro-intestinal (GI) tract and kidneys. The mix of foods within your meals affects how much oxalate is absorbed and how much your body has had to handle over your lifetime. For example, meals rich in calcium and fiber can lower the amount of oxalate absorbed from foods, while diets low in fiber and calcium may increase the amount of oxalate you absorb. Gender and other genetic factors affect the way the body handles oxalate. Women are less prone to kidney stones, but more prone to pain syndromes. Fetal exposure to oxalate and other toxins may set the stage for oxalate trouble, perhaps including autism and other brain function issues, such as learning and behavior problems. Older people have less efficient function of their kidneys and digestive processes, and more years of oxalate exposure and accumulation. They may thus be especially vulnerable to the toxic effects of oxalate. High oxalate intake when inflammation is occurring allows for more tissue deposits and more damage. Deficiencies of vitamins and minerals may aggravate oxalate’s toxic effects. Heavy drinkers, the obese, and those who have undergone gastric bypass surgery are at especially high risk for micro-nutrient deficiencies. There are undoubtedly many other factors we have yet to discover and document. 6. How can I know if oxalates are an issue for me? There is no sure way to determine the extent that oxalate is causing health issues. Most health care providers are not even aware of this possibility. Accepted medical tests for oxalate accumulation in the body involve taking tissue samples from kidneys, bones, or skin. Biopsies are invasive tests that are reserved for the rare situation when there is strong clinical evidence for advanced kidney failure with a genetic component. Urine tests measuring oxalate are not reliable because of natural variations in urine content. Some people with advanced kidney deposits of oxalate have very little oxalate in their urine. The more extensive the oxalate deposits are in the urinary tract, the more likely that excessive oxalates become trapped there instead of being released into the urine. Thus, low levels of oxalate in the urine are not necessarily reassuring. The body needs to be capable of continuously excreting oxalate. High levels of oxalate in urine may indicate that the kidneys are indeed able to excrete oxalate despite a heavy work load, either from a recent meal, from high levels of internal production, or from the release of body stores of oxalate. High urine oxalate maybe a sign that the body is reversing the accumulation of oxalates in the body, once the source of oxalate has been adequately limited. The low-oxalate diet itself can offer some strong indicators, when the diet is implemented correctly and consistently. This requires accurate data on the oxalate content of foods. You also need to know how to recognize common reactions. Often, a person with oxalate issues will experience some temporary worsening of several symptoms after being on a truly low oxalate diet for a while. This could be a sign that cells are moving stored oxalate out and being damaged in the process. Sticking with the diet is an important part of waiting out the healing process. You have pain that comes and goes without obvious cause, or that affects different body parts on different days.